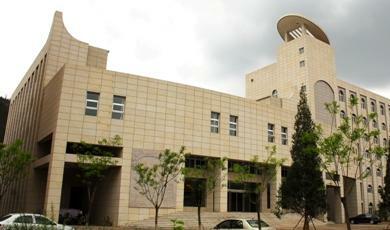 Yanan University is the first comprehensive university established by the Communist Party of China, which is located in the revolutionary holy place of Yanan. In 1941, Mao Zedong established Yanan University by merging the Shanbei Public School with the Woman’s University of China, the Zedong School of Young Cadres, the Yanan School of Natural Sciences, the School of Nationalities, the Shanganning Border Region School of Administration and the Xinwenzi Cadre School. Through the Shanbei Public School, the history of Yanan University dates back to 1937. With the hard work of more than seventy years, Yanan University has developed into a comprehensive university of liberal arts, science, engineering, administration, medicine, education and law. 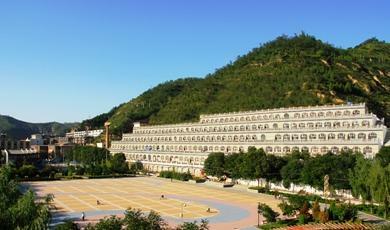 Today the university has eighteen schools, one independent college in Xian and five affiliated hospital schools. There are fifty-nine undergraduate programs, including such disciplines as literature, science, engineering, management science, medicine, pedagogy, economics, history and agriculture. Among these schools there are twelve first-class postgraduate programs of the province, twenty-two postgraduate programs, five key disciplines of the province, two key laboratories of the province, an engineering research section of the province，two national key disciplines, three provincial key disciplines, eight professional disciplines and four key research institutes of the province. Moreover, there are more than forty institutes such as the institute of Energy Chemical Engineering of Northern Shaanxi, the institute of Regional Economy of Northern Shaanxi, the institute of Endemic Diseases of Northern Shaanxi, etc. Yanan University has its own journal: Journal of Yanan University (Natural Science Edition, Social Science Edition, Medical Science Edition and Edition of Education). There is a faculty of more than 1400 members, including over three hundred professors. Among them fifty-four teachers have Doctor’s Degree and five hundred and thirteen Bachelor’s Degree; also one hundred and seventy are supervisors of postgraduates. There are seven experts who have been awarded Special Government Allowance of the States, one expert who has made an outstanding contribution to the province, four Three-Five talents of the province, two Distinguished Teachers of the State and ten Distinguished Teachers of the province. In addition, more than one hundred and fifty well-known experts and scholars at home and abroad are invited as part-time professors in our university. Summer vacation: on July 25, 2016-September 8, on September 9 daily to register, on September 12 class. 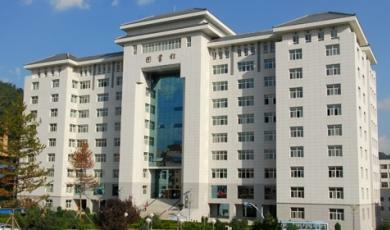 (1) Undergraduate students: All Bachelor’s degree specialties offered by Yanan University. Our College will offer different levels of Chinese language and culture training courses such as Intensive Chinese Reading, Extensive Chinese Reading, Speaking, Grammar and Writing. Additionally, we offer elective courses such as Chinese History and Culture, Chinese Kungfu, Chinese Musical Instruments, Music Theory and Practice, Fine Arts, Chinese Painting, Chinese Calligraphy, News Listening, Newspaper and Magazine Reading. Four years for bachelor’s degree, subject to extension up to a maximum of 2 years under special circumstances. Students who have earned all the required credits set forth by the department and have defended their theses and/or dissertations successfully will be awarded relevant Diploma or Certificate of Graduation. A high school diploma. Those who are not qualified in Chinese proficiency may first attend the long-term Chinese language training course for foreign students offered by our University for one semester, then they may be transferred to the bachelor’s degree course after meeting the Chinese proficiency qualification. Students are enrolled twice a year, each spring in March and each autumn in September. 2) Enrollment Time: Admission Notice is available at any time. March for spring semester; Sept. for autumn semester. Start every spring and autumn, with the minimum study period set as one semester. Classes are given at night or during weekends. The curricula are programmed either the same as the full-time course or readjusted according to the specific needs and requirements of students. The schedule of classes is set according to the student’s needs and requirements, and the tuition varies according to the hours of study. The minimum study period is one semester. The schedule of classes is set according to the student’s needs and requirements. (1) Regular Short-term Course: The duration varies from 1 week to 12 weeks, and admission is available at any time. (2) Summer Course: Admission time is from mid-May to early August and duration of study is from 1 week to 12 weeks. (3) Winter Course: Admission time is early January and duration of study is from 1 week to 4 weeks. (4) One-to-one Course (private individual classes):The class hours and textbooks will depend on the individual student’s unique conditions and requirements. Individual applicants may request by mail, telephone, or download the YAU Application Form for International Students (Website: http://gjxy.yau.edu.cn/) and send the completed form two months prior to enrollment time. Upon approval of the application, we shall send the Admission Notice and the Visa Application Form for Foreign Students (JW202) to the applicants. The applicants shall present the above listed documents to apply for visa at the Embassy or Consulate General in their home countries or regions. 1. Apply for a Student Visa and take a Physical Examination. Students who are studying for one semester can apply for an F visa. Students who plan to study for one academic year or for more than one academic year should apply for an X visa. Both kinds of students need to take a physical examination (Telephone for examination: 029-85407050) . Purchase insurance including overseas medical treatment and accidental injury before you come to China. The sum insured should be no less than 400,000RMB (or other currencies of the equal sum) and the period insured should cover your study period in China. You need to present the original proof or notarized copy of your insurance policy (in either English or Chinese, excluding any other language) to the international Exchange and Cooperation Office upon registration. If you don’t have the insurance as required, you will be unable to register at YAU. You may also buy insurance at China Ping’an Insurance Company after arriving in China at the time of registration. Ping’an Insurance provides a special service to international students. Students who are studying for one semester should pay 400 RMB and for one academic year 600 RMB. This insurance includes hospitalization fee caused by any diseases and emergency medical treatment, etc. g. Registration Form of Temporary Residence and your telephone number. Note: According to Chinese law, students with an X visa must apply for a Residence Permit within 30 days of their entry date. Otherwise, they will be considered staying illegally and have to pay a costly fine. To avoid it, please register upon your arrival. If your arrival dates changes, please inform us of your new arrival date in advance. In this case, you are urged to register at the International Exchange and Cooperation Office when you arrive. e. Registration Form of Temporary Residence and your telephone number.